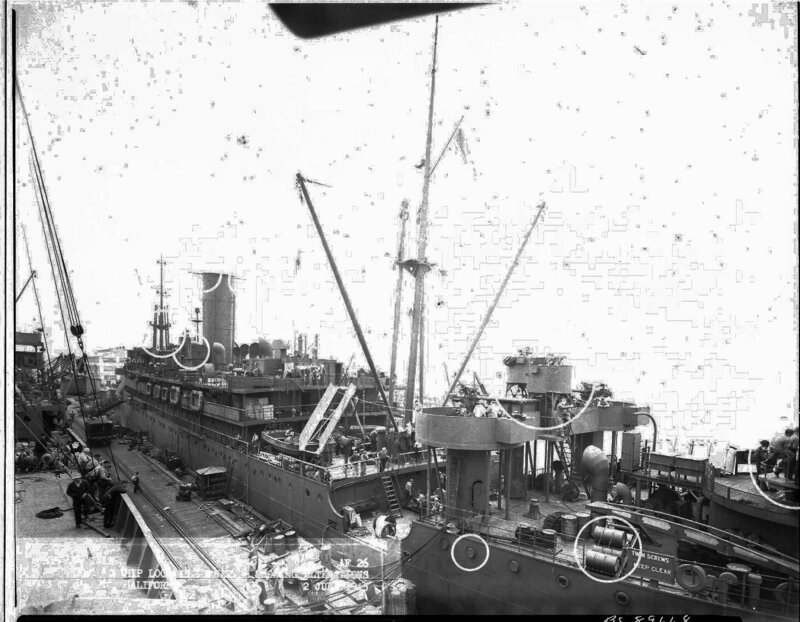 Acquired by the US Navy, 8 May 1943, from the United Fruit Co. 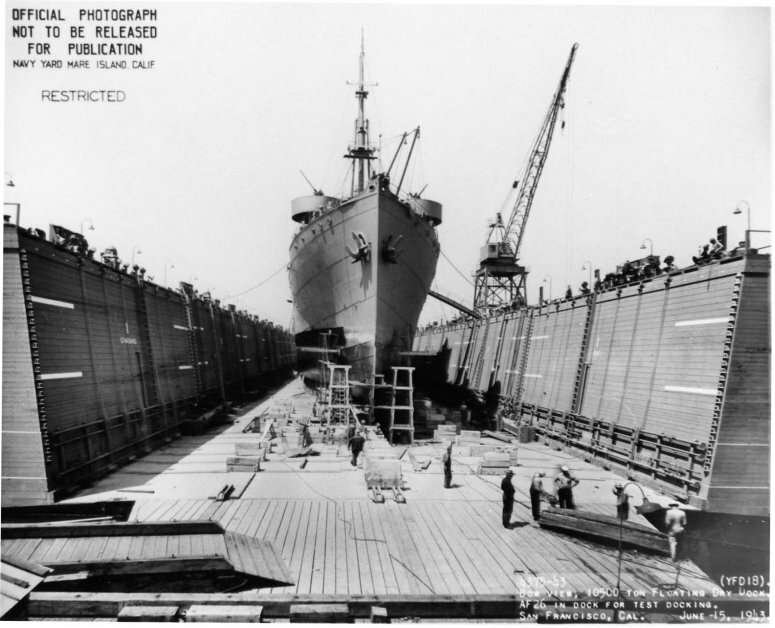 Laid up in the National Defense Reserve Fleet, James River Group, Lee Hall, VA.
Mare Island Navy Yard photo # YFD 18 4375-43 93k USS Octans (AF-26) drydocked in YFD 18 at San Francisco, 15 June 1943. 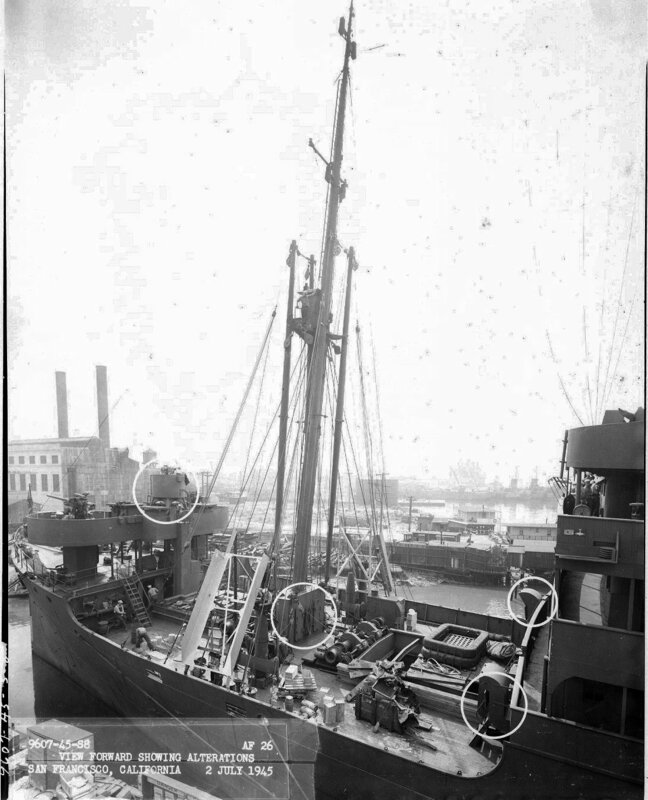 Octans was used to test the new Yard Floating Drydock which was 543’ long and 114’ wide and had a nominal lift of 10,500 tons. 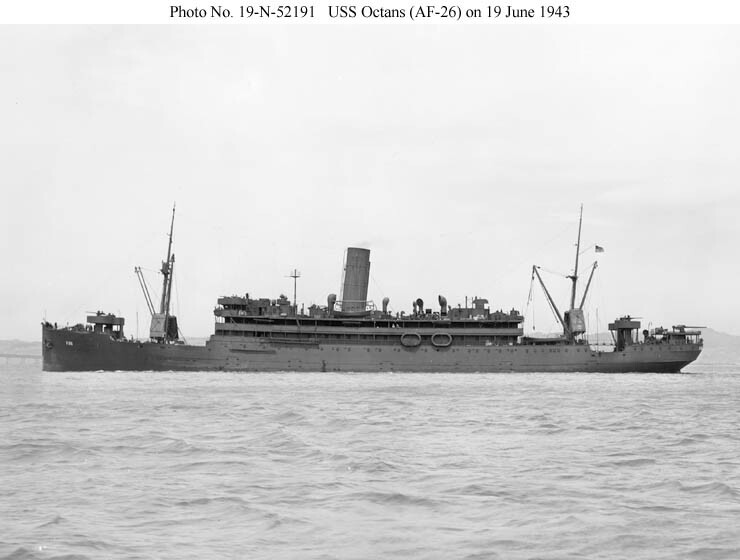 53k Bows on view of USS Octans (AF-26) off San Francisco, 19 June 1943. 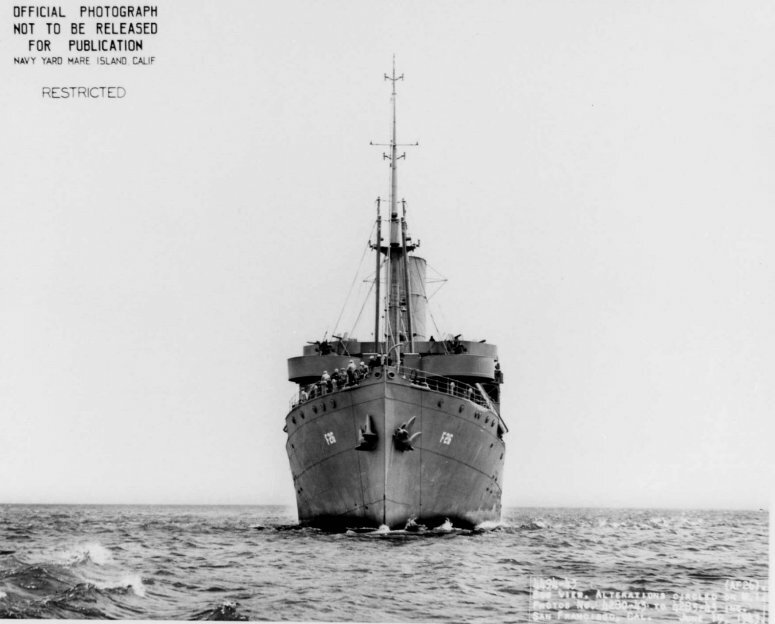 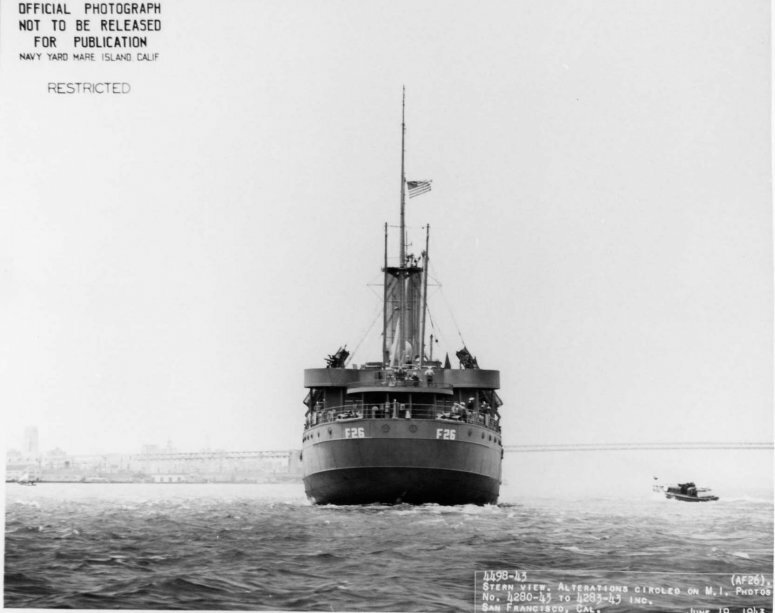 49k Stern view of USS Octans (AF-26) off San Francisco, 19 June 1943. 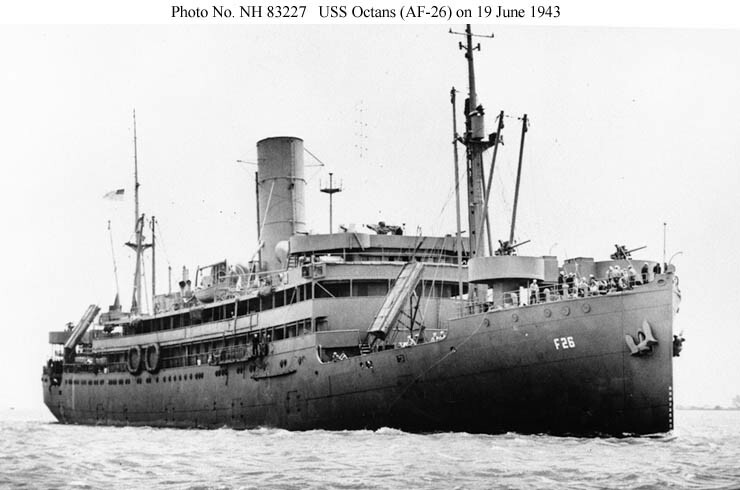 NH 83227 61k USS Octans (AF-26) underway off San Francisco, 19 June 1943. 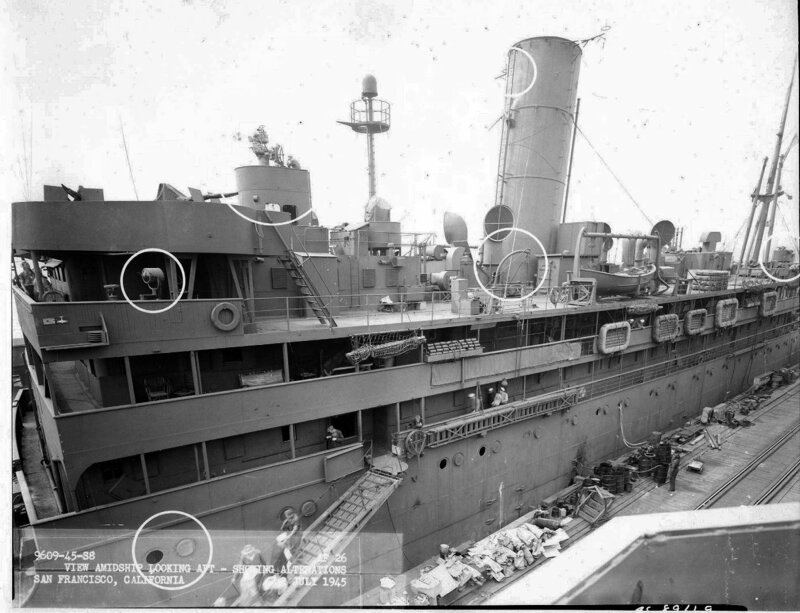 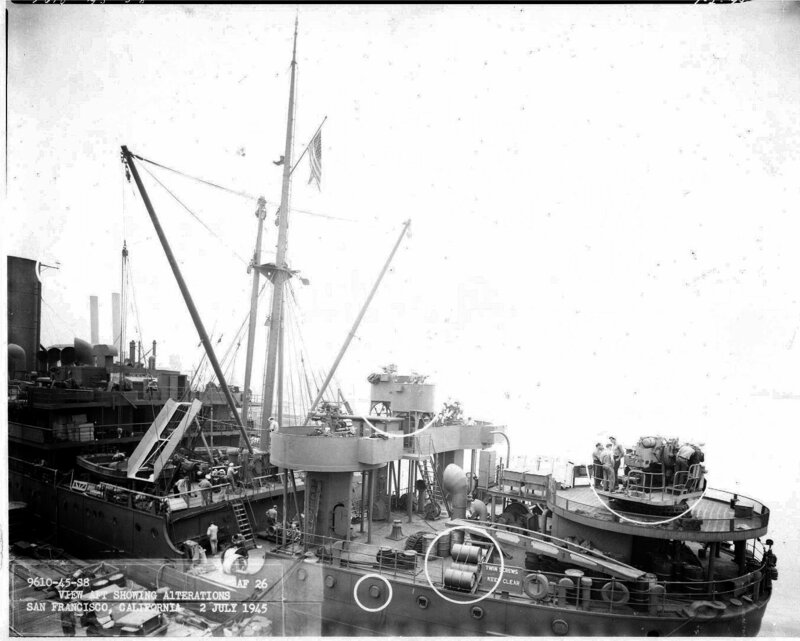 Mare Island Navy Yard photo # AF-26 287k Four views of USS Octans (AF-26) pierside at a San Francisco, CA. 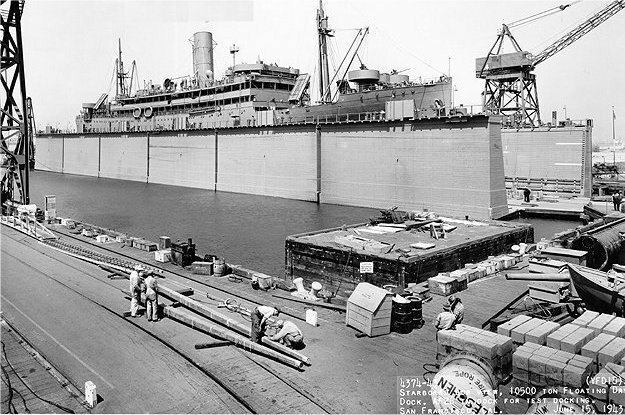 ship repair facility, 2 July 1945.